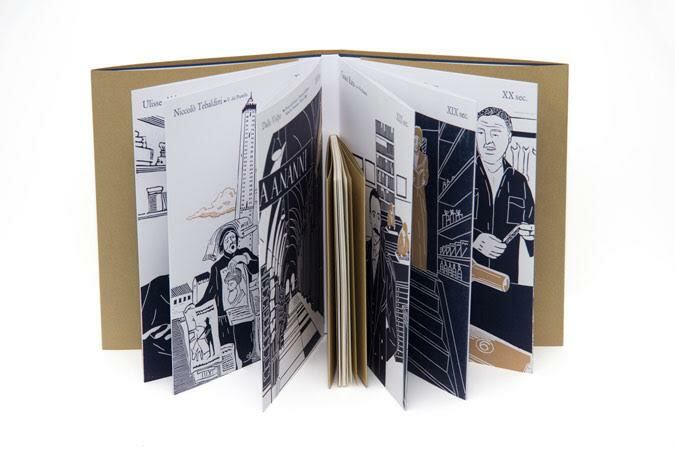 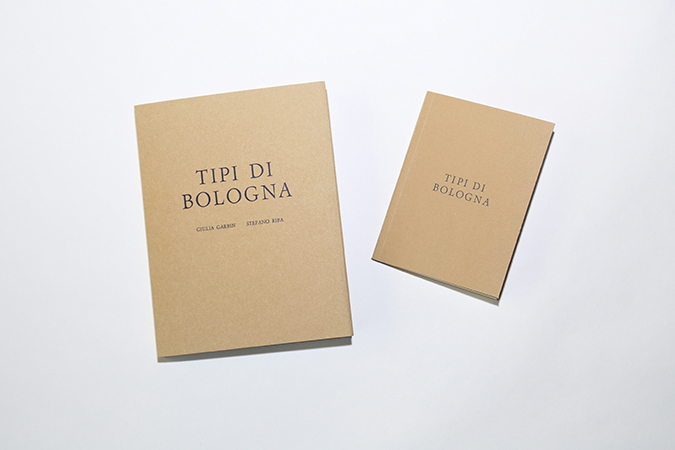 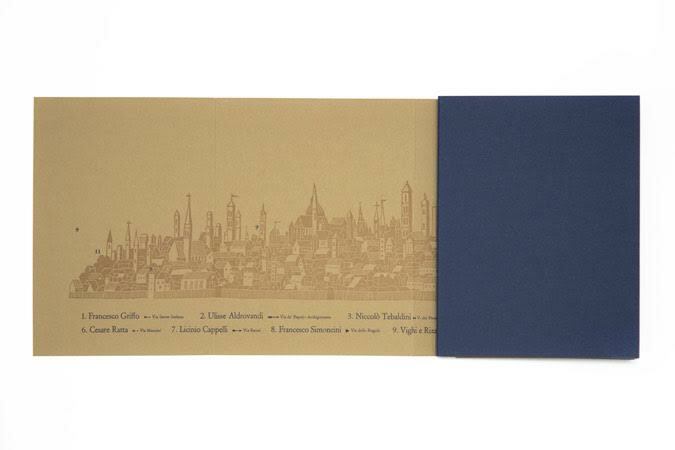 Tipi di Bologna (Types of Bologna) is a limited edition book (press release here), entirely illustrated, printed and bound by hand. 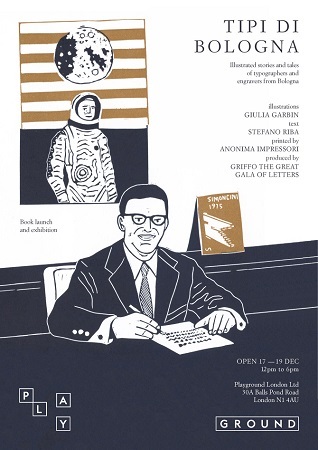 Produced by Griffo – The Great Gala of Letters, and made possible thanks to the support of Fondazione Del Monte and Fedrigoni Papers, Tipi di Bologna brings us short stories of those who made the Bolognese print and publishing scene through the years, combining Giulia Garbin’s linocut illustrations, Stefano Riba’s texts in linotype and the print expertise of Anonima Impressori. 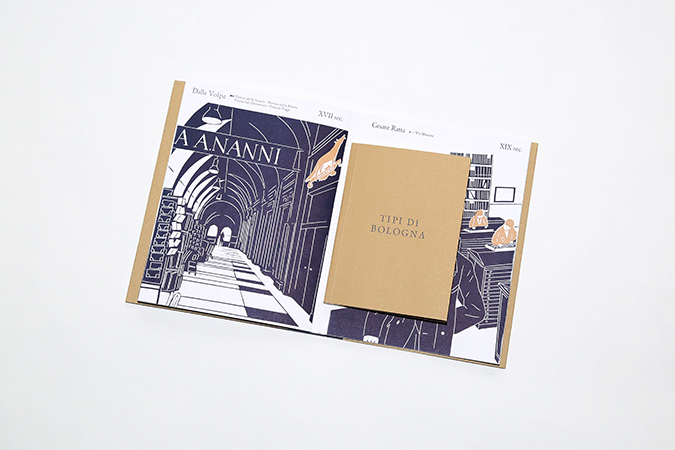 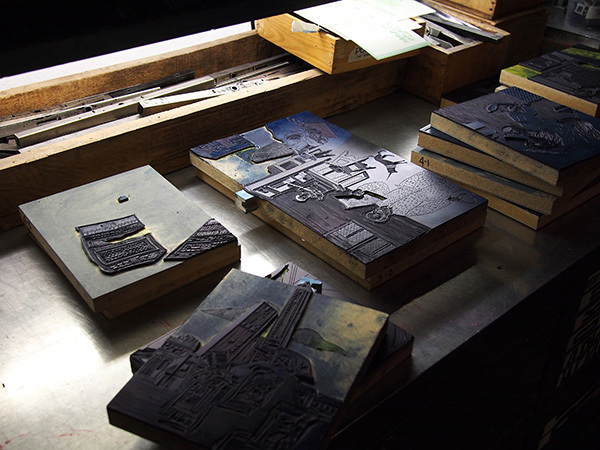 Likewise Tipi di Torino published in 2014 by Print About Me Micro-Press, this new book uses old (but not antiquate) techniques to stimulate rediscovery of letterpress past and present scene. 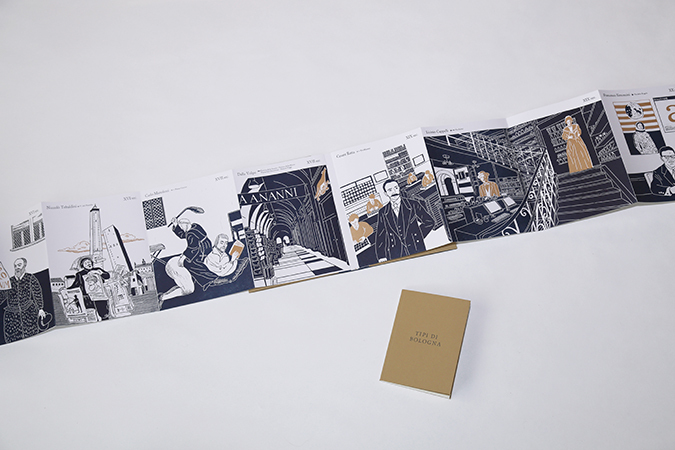 The double concertina contains linocut illustrations about each character story, attached in the middle with a magnet there is a smaller book that contains (both in Italian and in English) a narration that untangles through stories of the past (Francesco Griffo, Jacopo Berengario, Ulisse Aldovrandi, Nicolò Tebaldini) leading to the nowadays through tales and anecdotes told by some protagonist of the 20th Century letterpress scene in Bologna. 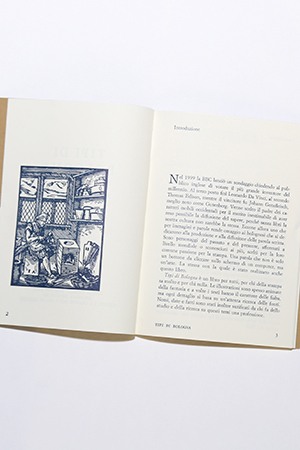 If you are interested in purchasing the book you can do it directly at the book launch or clicking here below!